Hannah and her mother couldnt be more different. Where Roz looks towards science and logic, Hannahs first port of call is the mystical and the mysterious. These contrasting outlooks have shaped their lives together, and particularly their perceptions of certain key eventsone of which being the disappearance of Hannahs father when Hannah was an infant. Where Roz knows that his disappearance has a mundane, if painful, cause, Hannah believes that there may be more to the story. These beliefs are tested when Roz and Hannah are invited back to Wintersloe manor by Hannahs paternal grandmother in Scotland. Its an invitation that evokes thoughts of magic and marvel in Hannah, and one that dredges up painful memories and resentment for Roz, for it was in Scotland that her husband went missing. Roz tells Hannah that she has no intention of returning to Wintersloe, blaming her dislike of the titled system in the UKits nothing that she wants to be a part of, she claimsbut her heartbreak is obvious. Twelve-year-old Hannah, of course, succeeds in persuading her mother to fly across the world to Scotland (provided she takes her homework with her), and soon enough Hannah and Roz are taking tea and marmalade cake in the parlour of the magnificent Wintersloe. Hannah quickly settles in, making friends with the local pre-teens and enjoying the tales of lore and history that are all around her. But theres one element of all of this that remains enigmatic: her grandmother. Hannahs grandmother keeps alluding to a series of oddities and strange goings-on, and shes deeply rooted in the mythological and healing traditions of the country. Roz suspects senility, but Hannah is certain that theres method behind the, er, madness. She becomes more convinced of this when she happens upon her fathers diaries, which are cryptically written and full of puzzles and mysteries. But Hannah gleans from them that her fathers disappearance may have indeed been magical: she suspects that he has travelled back in time to the sixteenth century. And so Hannah and her trio of young friends set about attempting to follow in his footsteps in the hopes of bringing him back for goodand without becoming trapped in the past themselves. 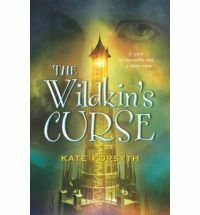 Kate Forsyth is quickly becoming my young adult Charles de Lint. By that I mean that shes an author I read because I cant help but fall utterly in love with her characters. 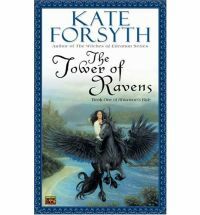 Every character in this book is so fully realised and so individual that it really is as though youre sharing an adventure with real people, and I found myself constantly impressed by the small quirks, habits and attitudes that the author managed to work into even the most minor of her characters. 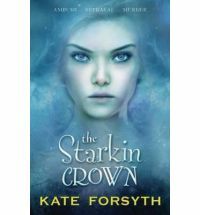 Where other authors might use simple differentiating factors to separate their characters, Forsyth brings together groups of like characters that are still wonderfully themselves. (After all, how often is a friendship group actually made up of four entirely contrasting individuals? Most people gravitate towards people that are somewhat like themselves, and this is something that Forsyth captures without her characters dwindling to sameness.) Theres also a beautiful balance between the adult and younger characters, too Although the younger characters are allowed to go off on their old adventures, the adult characters arent simply shunted aside, but rather play significant roles in the book (as adults often do in their childrens lives!). There are a few little nods to other authors, too: I have my suspicions that animal loving Donovan may be channelling that much-loved Dickon from The Secret Garden (see our review), and its a reference that works well given all the talk of gardens, roses and renaissance of self. There were a couple of little character-related niggles that didnt quite work for me, though. These were the band that the four friends set up and the clothing choices of the children. There was something about these elements that made them feel a little older than their twelve or thirteen years, and that I felt detracted from the otherwise middle grade tone of the novel. As a lover of puzzles and language, I delighted in the discussion of cryptic crosswords, which of course play an important role in the puzzle solving element of the book, and of the importance and meaning of names (cf Rosebud). The identity of the Black Rose is discussed at length, and theres a good deal of rumination on palindromes, name reversals, and so on. That names can be linked so strongly to identity is such an interesting concept, and the way that all this plays out in the novel is in stark contrast to Rozs initial conception of the titled Scottish system being arbitrary and unfair. I have to admit that the plot at a glance is a little familiar, and there are certain aspects to the mystery (the identity of the Black Rose and the final solution to the puzzle ring) that are fairly easy to spot, but theres so much here to enjoy that youll likely not care. Forsyths world-building is spot-on, and there are myriad fascinating tidbits about life in Scotland in the present day, as well as of in the sixteenth century, that are elegantly worked in in passing rather than as part of a lengthy description or explanation. One character, for example, asks the children whether theyd brought their eating forks with them, which provides a small but intriguing insight into the norms of the time and the massive divide between rich and poorthis scene can later be contrasted with one involving the royal court. Magic and faerie are in abundance, and these, as well as the setting, help provide a dreaminess that might have otherwise been removed by the SFnal time travel element. Theres also plenty of levity arising from the character interactions that helps to defray the gloominess and squalor of city living in the sixteenth century (my favourite is perhaps Maxs insistence on using hand sanitiser to clean a knife for fear of germs). Though YA readers might want to take note that this book is pitched at more of a middle grade audience, The Puzzle Ring'is full of beautiful places, intriguing puzzles and characters that you wont want to leave, and I dont doubt that youll thoroughly enjoy your time in its pages. Oh, and extra points for the bonus marmalade cake recipe in the back of the book. I read The Puzzle Ring a couple of years ago now, and thoroughly enjoyed it. The research sat lightly on the narrative, and the endnotes were interesting in themselves, but not essential to the story. I was also hugely impressed that so much thought had gone into the cover here was a cover designer who had not only actually read the book, but understood it. It was my personal cover of that year. Thanks for visiting, Judi! I completely agree with your point about the careful inclusion of research. Its there without weighing down the narrative, which is so key with a book aimed at this audience. And isnt the cover wonderful? Its so nice not to see stock photography, but instead a beautiful cover thats been carefully designed based on the book itself. I enjoyed this one myself (the first half especially), and now feel the urge to add more of her books to my tbr listnot that it needs it, but still. I adored the sections about present-day Scotland: anything involving a sprawling mansion and moors endears me right away. Im an utter sucker for setting! Ah, yes, the TBR. I feel your pain! I have Forsythes adult novel for review next month. I havent read any of her YA titles though this one sounds quite good. Im looking forward to your review, Shelleyrae. I think I have another of Kates coming up for review, too, but Im not sure if its her adult one. Her YA/MG stuff is excellent, and Im eager to seek out some more! 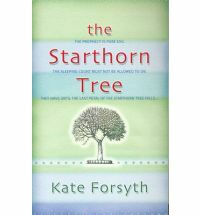 I sadly have not read any Kate Forsyth. But do enjoy puzzles in fantasy, real puzzles that the reader can work out slightly ahead of the characters. It sounds like youd enjoy this one, then, Sean! Im always impressed by Kateby both her work and her personality. Shes a very savvy woman, and I always feel like I learn a lot chatting to her. I found you via the Australian Women Writers challenge website and enjoyed your review, thank you! I love Kate Forsyths work, particularly her Witches of Eileanan series, in which her careful research is also obvious but unintrusive. Thanks for visiting, ANB! Im glad to hear that you enjoyed the review. Im a fan of Kate, too, and Im delighted that she has such a huge body of worktheres plenty for me to catch up on. :) Very good point about how her research is so well integrated into the narrative. It can be difficult to get the balance right, but I think she does a very good job indeed.